All Tesla vehicles now come with the Autopilot driver-assistance system as standard, the company said in a blog post April 11. The Model 3 with Standard Plus battery range used to cost $37,500, plus $3,000 for Autopilot. It now costs $39,500 with Autopilot included. And a standard Model 3 costing $35,000 just became harder for customers to actually order. 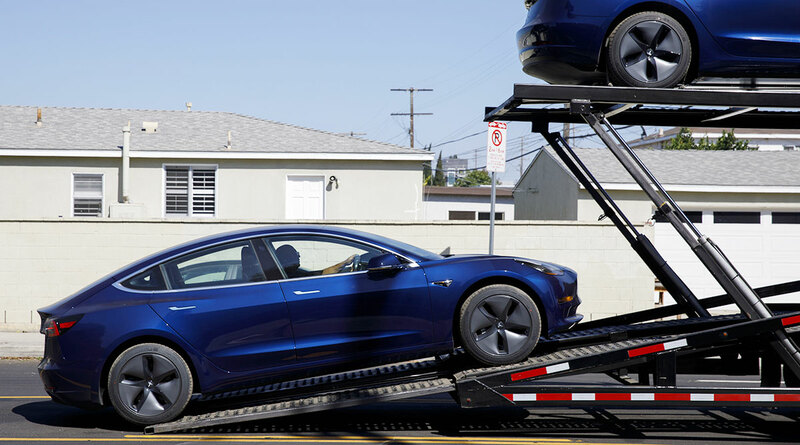 Deliveries of the vehicle at that price point — the big promise of the Model 3 when it was first unveiled in March 2016 — are just beginning this weekend. Customers who want this version from now on won’t be able to get it from Tesla’s online ordering menu: They will have to call or visit a store instead. Tesla’s constantly shifting approach to its lineup and retail strategy has rattled investors and stoked confusion. Ten days after signaling an almost complete withdrawal from physical stores, the company backtracked and said more locations would stay open than planned. The carmaker now is backing away from its online-only ordering approach with the standard Model 3. Tesla also is offering a Model 3 lease for the first time, though with a big caveat. Customers won’t have the option to buy the car at the end of the lease because the company plans to use the vehicles in a forthcoming Tesla ride-hailing network, according to the blog post. CEO Elon Musk first talked about his vision of a Tesla shared-vehicle fleet when he unveiled his Master Plan Part Deux in July 2016. After the company scheduled an event later this month for Musk and other executives to tout Tesla’s self-driving technology, the CEO hinted at the plan again. In responding, a follower on Twitter encouraged Tesla owners to buy a product that covers up a camera over the rearview mirror of their cars, Musk, 47, confirmed for the first time that the purpose of the camera was to record video when owners put their car on the network. The stock was down 19% this year through the close April 11.